The website has learning resources for teachers of children from Year 2 to Year 11. The resources are free to download and teachers can filter resources by year level or subject area. The learning resources have been developed through DairyNZ's education programme over the past six years. They've been created in partnership with education specialists to ensure they meet the needs of teachers and provide effective learning, as well as being innovative, interesting and fun. All the resources have a dairy context, meaning children get to find out about the dairy sector while learning about science, maths, geography, economics, problem solving and much more. They get to see the breadth and variety in dairy farming, and the career options available. 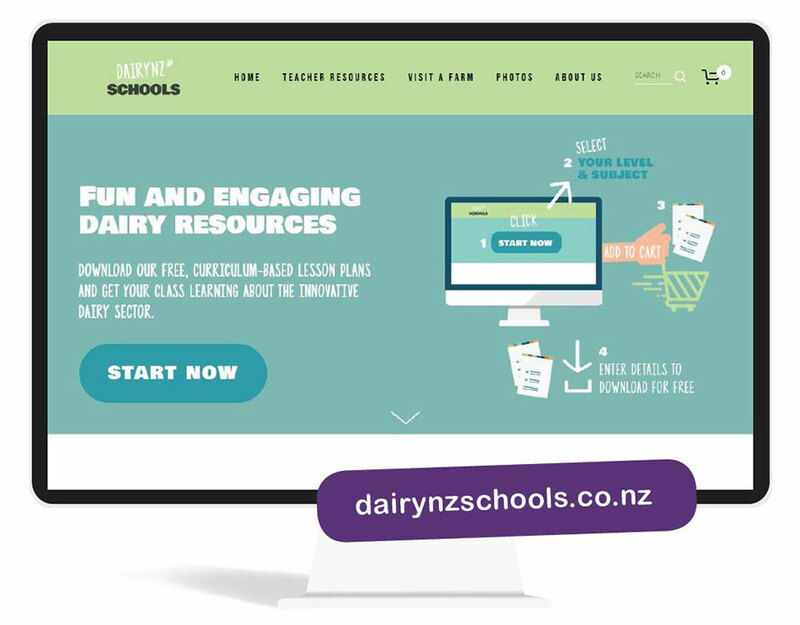 All teachers who use the DairyNZ resources can also take children onto a farm to experience dairy farming in real life. A farm visit registration form is included on the website. Once it’s been received, DairyNZ works with farmers to organise a local farm for the class to visit. Over the past seven years, more than 22,000 children (plus teachers and some parents) have visited a dairy farm through DairyNZ’s education programme. About 120 volunteer farmers generously donate their time to share the dairy story with schools. Teachers and their students also share with DairyNZ their photos and letters created when using the learning resources, or visiting a farm. Their great feedback will feature on the website to inspire other teachers and show how these resources and farm visits provide a memorable experience for everyone involved. DairyNZ’s education programme saw more than 4000 children visit a farm last year. We couldn’t do it without our volunteer farmers – thank you! Hosting schools is a great chance to share your story with children, parents and teachers and help to inspire future farmers. 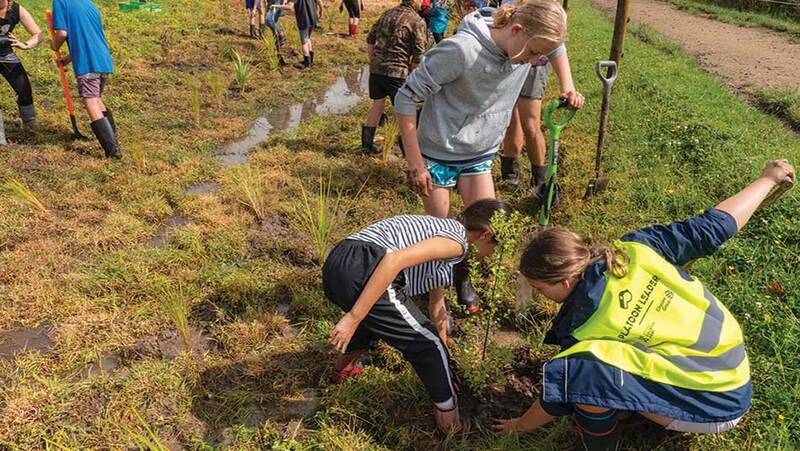 Cambridge Middle School students plant a wetland area on Stu and Leah Gillanders’ dairy farm near Lake Karapiro, as part of DairyNZ’s education programme. DairyNZ’s in-school education programme is designed for teachers of children from years 2-11. It is aimed at helping kids understand where milk comes from and what a varied and interesting sector dairying is. DairyNZ’s school farm visit service provides children with a unique and memorable on-farm experience. Sign up here to volunteer as a host farmer!